I had gallbladder removal surgery a week ago Friday. It was the first time that I have ever gone under a surgeon’s knife. The past week has been spent recuperating. There has been a lot of time spent in bed. There has been a lot of love shown to us by dear friends and family. There has been sweet time spent with my wife and two youngest sons. And, there has been a lot of being awake at hours that I am not usually up. Tonight is one of those nights. Going into surgery. One of my prayers was that I would use this recuperation time with intentionality. I wanted to catch up on some things that I needed to catch up on – you know, the things that just continually get pushed aside in the tyranny of the urgent of everyday life. But more importantly, I wanted to spend more intentional time with Jesus, Who I like to call my best friend, even though my time with Him wouldn’t reflect that. So, in the interrupted hours of my sleep, and in my normal waking hours, I have purposely spent more time with Jesus this week. And, it has been good. Tonight, I awoke at 2:45. After trying to get back to sleep, I decided to quit fighting it and to just pray and read the Bible. I opened to Psalm 119, the Bible’s longest chapter, revisiting a chapter of Scripture that several years ago I spent 176 days meditating upon. It was good to reread these verses, with fresh eyes. One of the things I love about the Bible is that it is the only book in the world that is alive. It, unlike any other book, has the ability to pierce my very soul with the presence, power, healing, and hope of Christ. I love the simplicity of the Psalmist’s plea in this verse. Can you just feel the tension mixed with hopeful anticipation that he must be feeling in his heart? “You made me,” reflects David’s absolute conviction that he was fashioned by God. He was not a result of genetic chance. He was crafted by God, and therefore, had value to His creator. “You created me,” he continues with poetic emphasis. Like he did in Psalm 139, David reflects some more on the fact that God was the architect of his existence. His very existence testified to the omnipotent God, and on the basis of God’s power and plan for David’s life, David would now offer up his plea. 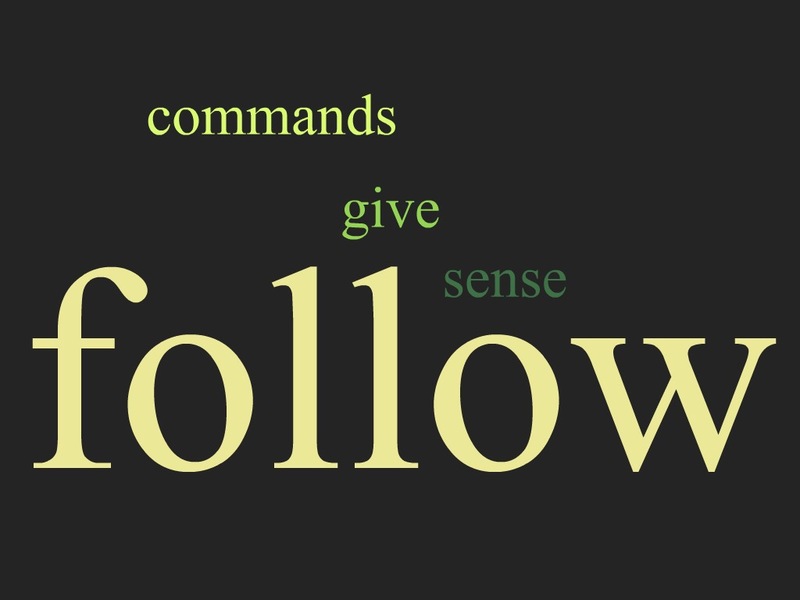 “Now give me the sense to follow Your commands.” That is really calling it what it is, isn’t it. So much of humanity’s pain, sorrow, trouble, and strife comes down to the fact that we don’t have the good sense to follow God’s commands. We either think we know better than God, are too proud to submit to God, or simply want to ignore God and do things our way. Oh what pain that sort of thinking has wrought us! You get the picture. Well, friends, it just makes common sense, that God’s way is better than our way. So, like David, may we plead with God, the Creator of our sometimes stubborn minds, to give us the sense to follow His commands. Life goes better when we do things His way. It always has, and always will. That is something that just makes sense! I go back to my normal routine this week. In truth, that is probably part of why I can’t sleep tonight. There is excitement about getting back to what God has called me to do. There is renewed vision for many areas of my personal and professional life. There are new habits that I am longing to see take root in my life. And, there is the fear that I will allow the tyranny of the urgent, the expectations of myself and others, and the sin that so easily entangles to drown out the priorities that God would have for me. And, you placed me in my parent’s home . . . What a gift that was and continues to be in my life! You brought me through the awkward years of growing up. You sent me to a college far from home, where you stirred up in me a desire for Your Word, and introduced me to my precious wife. You blessed us with four wonderful kids, and scores of friends around the world. You blessed us with four wonderful church families. You are still shaping me . . . still molding me . . . still creating me. You make . . . You create . . . You give. Now, give me the sense to follow Your commands. For that might just be the most important thing I need in life right now. Oh, and just in case that verse wasn’t enough to ponder today, check out the follow-up verse! Now that’s a prayer! May we all strive to live in such a way that our lives will give others a cause for joy! In 2010, over seventy people at Woodbury Community Church tookThe Challenge, a challenge to read through the Bible over the course of one year. Many of those who took The Challenge completed that challenge yesterday. Many did not, but in taking The Challenge, they read more of the Bible in 2010 than they did in 2009.In 2011, I want to challenge you once again to attempt to read through the Bible. There is nothing that will change you as much as God’s Word. D. L. Moody once said, “This book will keep you from sin, or sin will keep you from this book,” when referring to the Bible. When we spend time in God’s Word, we are changed.In 1959, D. Martyn Lloyd Jones, the minister of Westminster Chapel in London wrote, “There is nothing more important in the Christian life than the way in which we approach the Bible, and the way in which we read it. It is our textbook, it is our only source, it is our only authority. We know nothing about God and about the Christian life in a true sense apart from the Bible. We can draw various deductions from nature (and possibly from various mystical experiences) by which we can arrive at a belief in a supreme Creator. But I think it is agreed by most Christians, and it has been traditional throughout the long history of the Church, that we have no authority save this Book. We cannot rely solely upon subjective experiences because there are evil spirits as well as good spirits; there are counterfeit experiences. Here, in the bible, is our soul authority.” (D. Martyn Lloyd Jones, Studies in the Sermon on the Mount, Second Edition, Grand Rapids, MI: Eerdmans, 1976, p. 6. )One of the common requests that I received last year was for a reading plan that would allow us to read through the Bible chronologically. This year we’ll use the Chronological Reading Guide, which was put together by Back to the Bible Ministries. You can download your copy of the Chronological Reading Guide by clicking here.